After a fantastic sell out performance in 2018 we are delighted to announce the return of these great musicians. 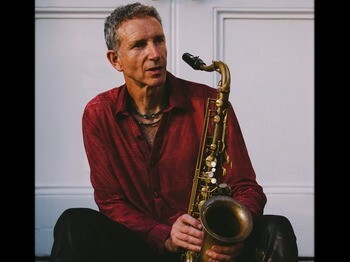 Snake has played sax with M People, Eurhythmics, Take That, Ray Charles and many, many more. Band member Dave has played bass with Martha and the Vandellas, Edwin Starr and the Ukulele Orchestra Of Great Britain. Helen from the trio has sung with The Eagles, Emmylou Harris and Little Feat. Burden of Paradise’s unique interpretations of evocative songs from Dylan to Dowland to Billie Holiday are spellbinding. Audiences have called it “one of the most enjoyable evenings ever” and have said...“It absolutely blew me away! BRILLIANT. How privileged we are to be able to see this stuff in our village halls. Thank you." Payment secures your booking which can be made either by PayPal, direct bank transfer (but let us know) or cash. We no longer issue physical tickets, a booking list will be held on the door on the night. You can send us an email for further information - NeashamRR@gmail.com. To Pay by Paypal, Debit or Credit Card, select number of tickets and click the Buy Now button below.